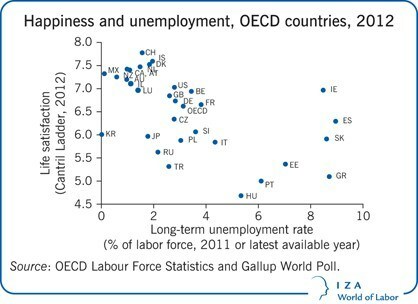 Happiness should be a guiding factor in the governance of labor markets, argues Jo Ritzen in his most recent IZA World of Labor article. When designing employment policies, policy makers should weigh the unhappiness of the unemployed against the extra happiness which the employed derive from employment protection. Increasing citizens’ happiness is rarely declared an official policy goal, even though many political decisions have a direct impact on people’s joy. While personal factors, such as health and character traits are the key determinants of happiness, external factors play an important role, too. Scientific studies show that employment is the most important external factor affecting people’s happiness. Unsurprisingly, studies reveal that unemployed people are in general less happy than employed people. Additionally, having a job with high employment protection provides a sense of more security and contributes to happiness. Based on the experiences of the financial crisis, Jo Ritzen observes that high employment protection can have negative effects on the general unemployment rate. Rigid labor market policies in France and Spain have caused the unemployment rate to grow larger than in countries like Germany. Ritzen concludes that politicians should aim at striking a compromise between the unhappiness of the unemployed and the extra happiness of those enjoying high employment protection. He recommends gradually reducing employment protection of those who have permanent contracts, while raising the protection for those with temporary contracts. Extra support should be granted to the group of older workers, who fall out of a permanent contract. 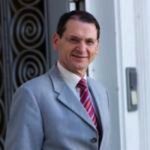 But Ritzen remains skeptical whether such measures will be adopted, given that politicians have always found it difficult to implement programs that promise long-term benefits at the expense of short-term costs.